Remember when these summertime months marked a long break full of popsicles, running through sprinklers, and backyard camping? If you're longing for those carefree days, get a hit of nostalgia at the La Brea Block Party. Okay, so this adult version has less hotdogs and hopscotch and more discounts and drinks, but it’s still a great way to spend a summer night. Tomorrow evening, boutiques and galleries between 1st and 2nd streets will host in-store events and trunk shows with awesome giveaways, discounts, tunes, and refreshments. Expect a photobooth and complimentary nail art and hair styling at Judith Bright and special discounts at vintage gem, What Goes Around Comes Around. Home décor destinations A+R and Plantation are serving up deals and libations, and Studio DNA is offering ten-minute services for just ten bucks, which will benefit The Nova Forma Project. And, we saved the best tidbit for last — free parking — so mark those iCals, already! 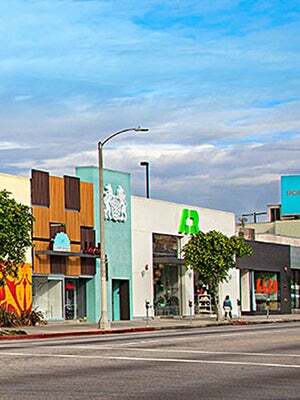 When: Saturday, June 15, 4 to 7 p.m.
Where: South La Brea Avenue (between West 1st Street and West 2nd Street); no phone.